Free public access via the website. Please contact Project Manager for licensing information. AusStage provides an accessible research facility for investigating live performance in Australia.  It was built by a consortium of universities and industry partners with funding from the Australian Research Council. Australia stages some of the most ambitious, innovative and socially significant live events. Live interaction at communal events is essential to the cultural life of the nation. Innovative live performances project images of Australian culture to audiences here and overseas. AusStage records information on live performance in Australia, as a wealth-producing creative industry, a generator of social capital and an indicator of the nation's cultural vitality. Researchers and students use AusStage to develop new knowledge about live performance in Australia and to assess the contribution that live events make to the nation's cultural vitality and international image. Companies, artists and reviewers use AusStage to find out who's doing what in the live performance industry. Librarians, archivists and museum staff use AusStage as a source of information on items in their collections and to assist the public with enquiries. AusStage is working with researchers in universities, performing arts organisations and government agencies to track patterns of live performance over time and to identify opportunities for audience development and strategic investment. There are two categories of data: prospective or current data and retrospective data. This distinction is important because the data-collection techniques vary; current data can be harvested from a variety of publications, providing a weekly snapshot of what goes on throughout the nation. Data harvesting for retrospective events tends to use other sources such as collections of programmes, academic collections, journal articles and digitised newspapers. Data has been collected since 1 January 2001 by a variety of personnel in various locations around Australia on a weekly basis and entered into the AusStage database. In theory this means that most performing arts events (excluding 'pure' music events such as concerts) are listed in the database, though in practice there will be some gaps: the system of adequate collection is still being fine-tuned and is subject to available personnel and funding. We are making an attempt to include as many country areas as possible and continue to broaden our coverage in this area. Retrospective data includes a vast quantity of disparate material held in a variety of locations. Ultimately the scope of retrospective data includes all performing arts events ever mounted in Australia since white settlement, where records survive. Thus we are approaching retrospective data entry by identifying 'blocks' of data that can be mined for information. A block of data is a collection of programs or reviews or articles in one location. The ultimate aim is to achieve a 'critical mass' of data so that it can be seen as representative of our performing arts history and thus an essential resource for research.